Jim DeMint is a new kind of U.S. Senator. He puts allegiance to conservative principles ahead of partisanship and sees his role as promoting, not just a Republican majority, but a conservative majority within the GOP caucus. With Senators like Florida’s Marco Rubio, Kentucky’s Rand Paul, Oklahoma’s Tom Coburn, Utah’s Mike Lee, and Pennsylvania’s Pat Toomey, he defines what it means to be a conservative in the Obama era. His new book, Now or Never: Saving America from Economic Collapse, is a manifesto for his movement, a credo for his convictions. He explains that while we all must unite in opposing Obama’s nation-destroying policies, we must also keep our eye focused on conservative answers to today’s problems. He goes deeper than mere partisanship and nay-saying and, with the assistance of his fellow Senators who contributed to the book, he articulates a real program for American revival. And DeMint is not just some senator who wrote a book. His efforts have fueled the conservative movement’s takeover of the Republican Party. He gets involved in primary contests and backs the real conservatives in the race without fear of offending the RINO (Republican In Name Only) senators with whom he must serve and work. But DeMint’s movement is not about personalities. It is about ideas. And the senator has recognized the implicit obligation that comes with staking out a conservative movement within the GOP: To define the principles of that effort lest it degenerate into a factional turf war. How can we avoid succumbing to a global debt repudiation cycle that is creating a decade of economic stagnation? How can American companies thrive on foreign competition and not be dragged under? Can America achieve energy independence in the very near future? These questions form the core of his work. Now or Never: Saving America from Economic Collapse is a very important book that must be read now because the alternative is that we never see these ideas realized. As we all focus on beating Obama, Jim DeMint has articulated a substantive agenda to replace him. And it is just in time. 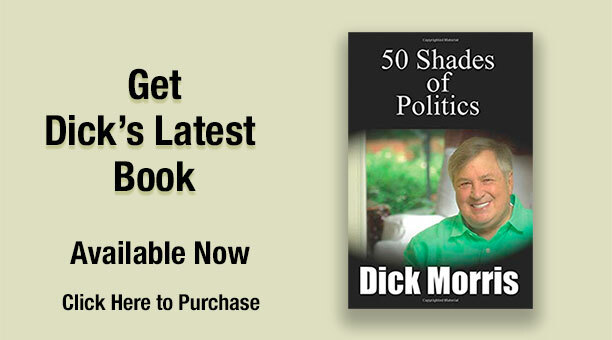 To purchase a copy of Now or Never: Saving America from Economic Collapse – Go Here Now.